The mythical water creature of Bali, the muse for the John Hardy Legends Naga collection of which this mixed metal bracelet is a part, is strong and beautiful. The stunning bracelet exquisitely depicts stylized scales in the weaving of the sterling silver chain and the decorative dot design in 18kt bonded yellow gold detail on the pusher clasp. 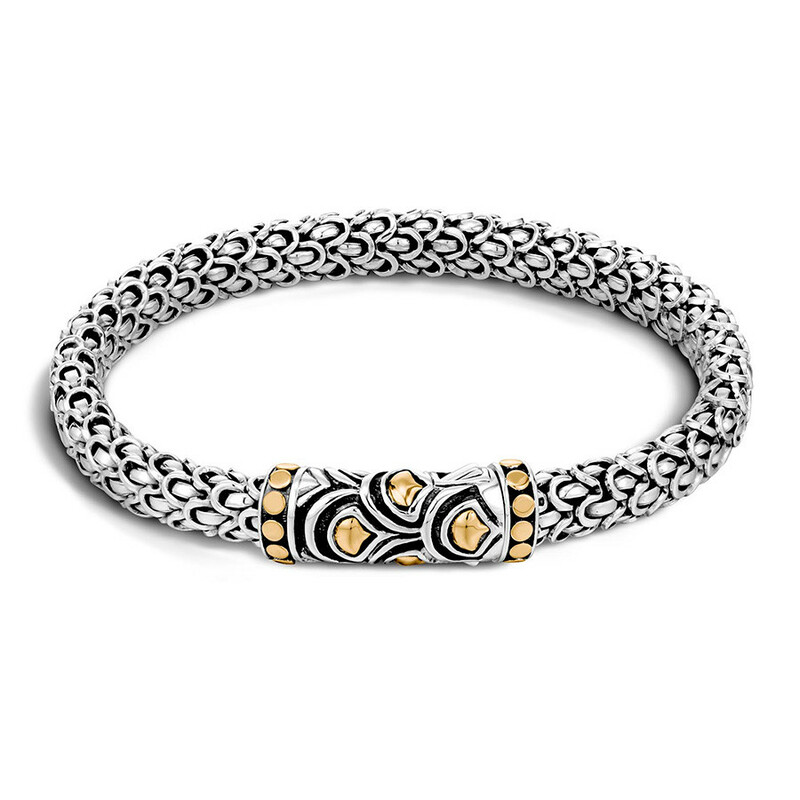 This bracelet from John Hardy was designed to shower you with abundant love and protection.